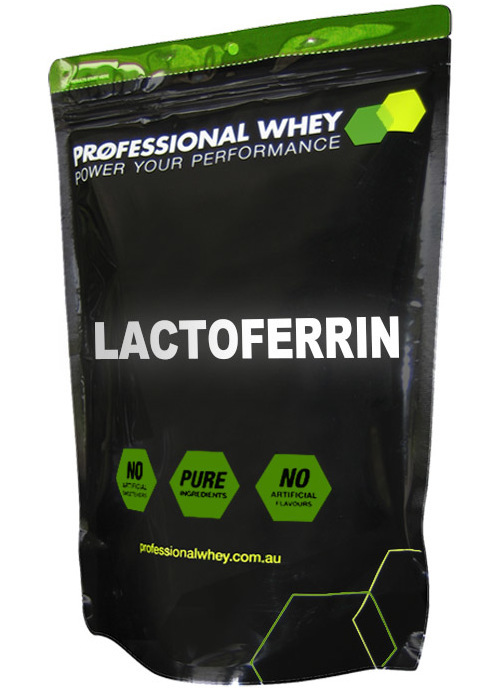 Professional Whey Lactoferrin is a super multifunctional protein that we have proudly sourced from the fresh milk of Australian pasture fed cows. Lactoferrin has been shown to have important and diverse biological functions on the immune system. The abundance of lactoferrin in human milk is an indication of its vital role in nutrition, with human infants ingesting up to 3g of lactoferrin per day from breast milk during the first week of life (Reiter, 1985). 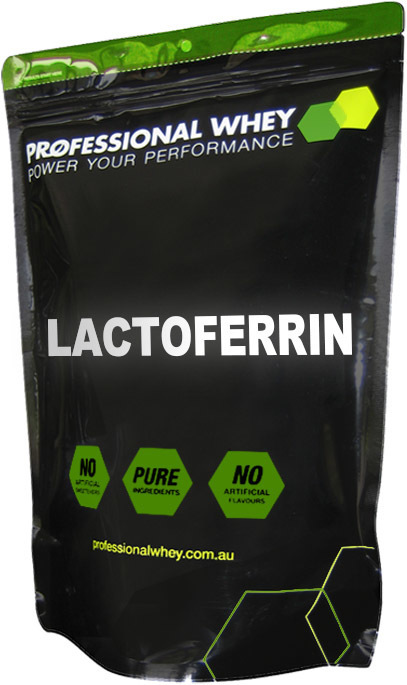 Professional Whey Lactoferrin is freeze dried to maximise bioactivity. Note: Due to the purity of this product with zero additives it will not dissolve by stirring in water alone and can foam a little when shaken, however by adding some milk it will subside. A shaker is recommended. Suggested Use: Consume 1g (one third to half a teaspoon) into a minimum of 50ml of milk or water daily. A shaker or blender is needed. Allergens: Contains milk & dairy products. I rarely write reviews, most of us already know why we take the products that we buy from PW. However Lactoferrin is worth reviewing. Long story short, I've trained for 35 yrs now as means of keeping me in good condition for my surfing and other activities. Over the years I changed what I take in regard to age and what I aim to achieve. At the end of last year, I underwent bilateral total hip replacement. I've been in a pretty serious rehab strategy since. about a month ago I introduced Lactoferrin into my supplement regime. There has been a die-off herx reaction time, while my gut health rebalances. but as that discomfort abates, I have noticed significant changes. I now have much less fatigue from the surgeries. Better gut health, more available energy. Also I've noticed a big difference in my bodies ability to assimilate other aminos and proteins I get for PW. i.e. I get better results from less product. I'm gaining strength rapidly and suddenly burning the fat that couldn't seem to budge after my surgeries. Naturally I researched this product before buying. It's pricey, but at $1.60 a day to be feeling so much better, it's worth every cent. My wife is on it too now and has noticed her endurance has increased substantially. Good work in sourcing this PW. I hope you guys keep it in stock. I like many of your products. but I believe this should be the foundation stone for most.